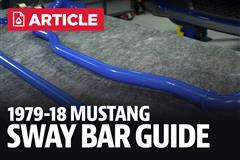 Correct swaybar geometry in your 1979-93 Mustang with MM's front swaybar & relocation bracket kit! 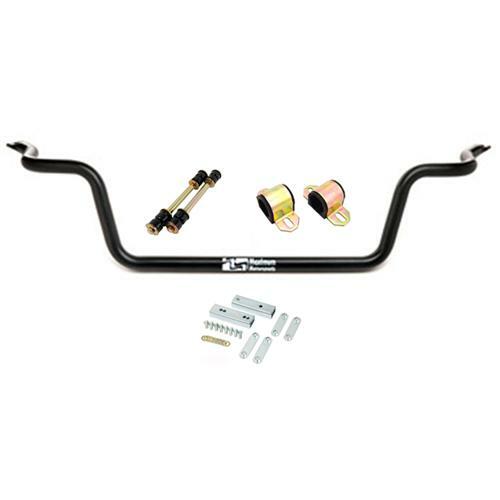 Decrease the body roll in your 1979-93 Mustang while also renewing your worn out bushings with this Maximum Motorsports front sway bar and Prothane sway bar bushing and end link kit! MM developed this front swaybar on their American Iron race car. It is considerably softer than the stock 5.0 Mustang swaybar, and works great with the MM Adjustable Rear Swaybars and coil-overs. MM designed these kits to move the front swaybar mounts forward on the chassis. This will be helpful when setting up a car with an aftermarket K-Member, or front control arms which move the front wheels forward. 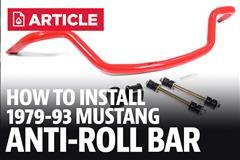 When the control arms move forward, clearance problems may arise with the front swaybar. 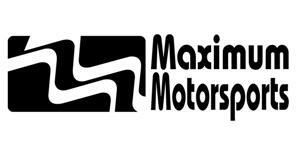 The ends of the swaybar might hit the front struts or the end links may not be vertical. This relocation kit solves those issues.